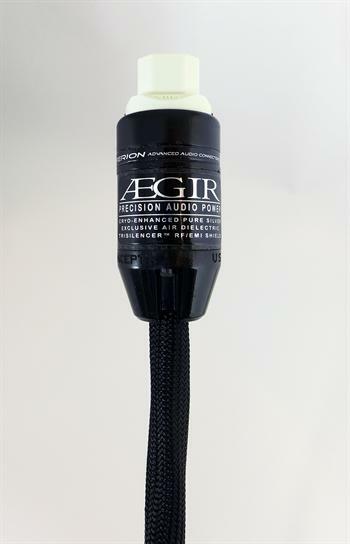 AEGIR power cords employ 2 large-gauge Cryo-treated, custom slow-extruded silver AeroStrand ribbon conductors. Air dielectric with PTFE Teflon air-tubes. Individually shielded conductors and ground wire. Full coverage plated copper and conductive carbonized Nylon braid shield layers. Custom, exclusive polymer, handmade woven carbon fiber plug housings. Power capacity up to 20 amps.